Rosy-red with a rose edge changing to ivory-white. 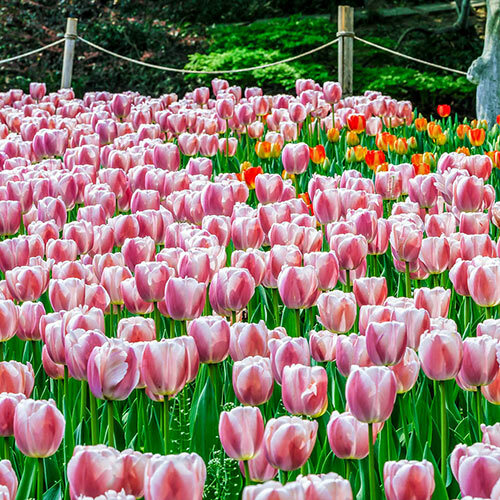 "The Giants of the Garden." 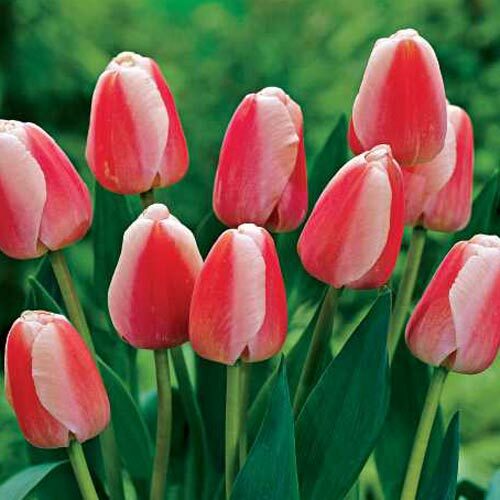 These tulips were developed as a result of crossing the single late (Darwin and cottage) tulips with the early fosteriana tulips. 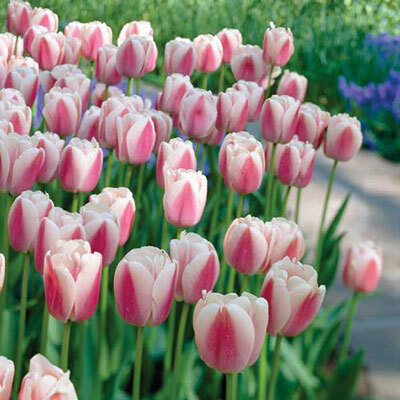 Truly exceptional, they are among the most weather resistant of all garden tulips with large flower heads on strong stems. 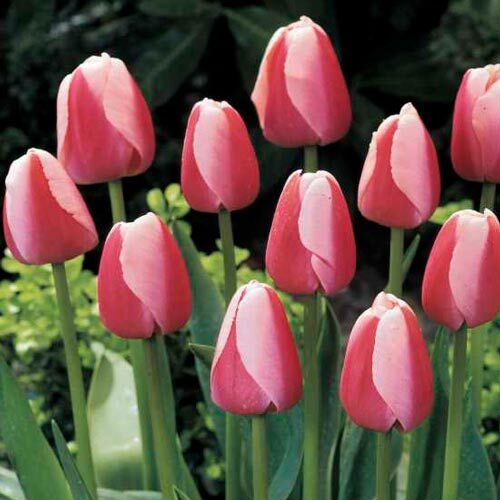 These statuesque beauties have superb perennial qualities and will produce many lovely giant flowers year after year with proper care. We recommend fertilization twice a year with our 100% Natural Bulb Food to improve their perennial nature.